oh, so close, but no. 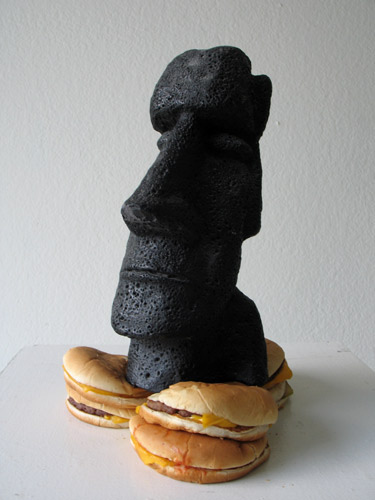 that’s an easter island head, not a tiki head. I’ll eat your cheeseburgers though. Does it seem ironic to anyone else but me that this was posted by diabeetus?